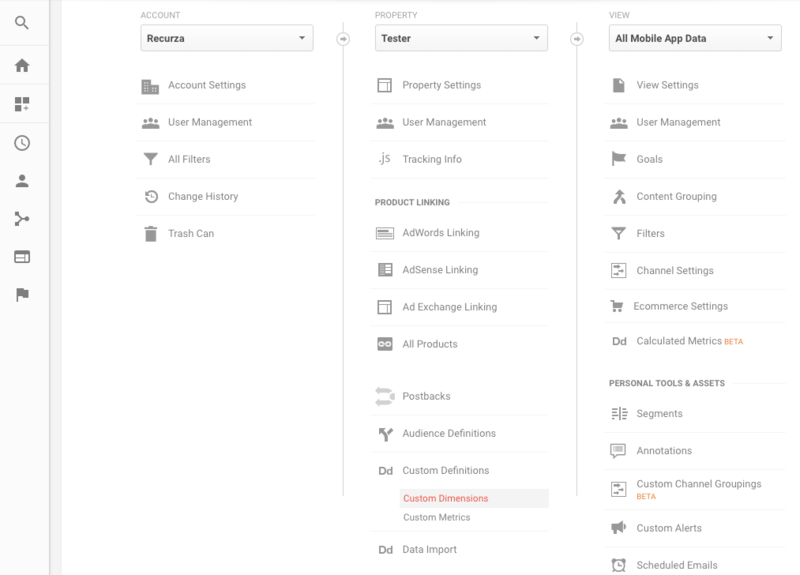 Custom dimensions is a powerful feature that allows you to track values that persist across multiple events or pageviews. When you set the dimension to a value, it is activated and will be attached to any event/pageview that is triggered during its active state. We can specify when it should be deactivated by setting its scope. By using custom dimensions, we will be able to add extra layers on top the event, indicating the user type and possible VIP status. This only needs to be sent once at login, and once at logout. "Hit" only persists for the event/pageview immediately following it. "Product" persists until a user purchases an item. This can only be used if you import product data into Google Analytics. In this case, the appropriate scope would be "User", since we are tracking the user type. The "Product" scope can also be used to track from which page the user added the bag of candies to cart. 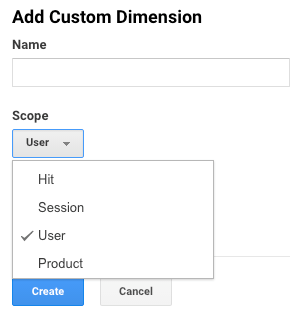 If the dimension changes during a session or user scope, the last value will overwrite all previous values. That's why it is very important to tell GA that a user has logged out. This overriding behavior can also be used as a feature. If we let GA set an auto user ID for visitors, when a visitor adds candies to cart and then logs in, we will be able to save the previous actions onto the existing user's profile (note that Session Unification needs to be turned on). Read this section from GA's docs for implementation details.